SHENANIGANS! Caffeine is our FRIEND! Our new Asylum has real internet finally now and we’re getting settled in. The Houston area here is one of the most hot and humid areas of the US. All hot and sweaty. 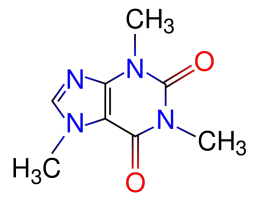 So of course I’ve been advised that my favorite psychotropic substance – 1,3,7-trimethylxanthine [“caffeine” for party-poopers who aren’t into the fancier names] – is no longer my friend, because it’s a diuretic that’ll dehydrate me, right? NO! Shenanigans! Caffeine is our FRIEND! And that stuff about it being a diuretic? CRAP! LIES AND SLANDER! Armstrong LE, Pumerantz AC, Roti MW, Judelson DA, Watson G, Dias JC, Sokmen B, Casa DJ, Maresh CM, Lieberman H, Kellogg M: “Fluid, electrolyte, and renal indices of hydration during 11 days of controlled caffeine consumption.”; Int J Sport Nutr Exerc Metab. 2005 Jun;15(3):252-65. Armstrong LE, Casa DJ, Maresh CM, Ganio MS: “Caffeine, fluid-electrolyte balance, temperature regulation, and exercise-heat tolerance.” Exerc Sport Sci Rev. 2007 Jul;35(3):135-40. Del Coso J, Estevez E, Mora-Rodriguez R: “Caffeine effects on short-term performance during prolonged exercise in the heat.” Med Sci Sports Exerc. 2008 Apr;40(4):744-51. Scott D, Rycroft JA, Aspen J, Chapman C, Brown B:”The effect of drinking tea at high altitude on hydration status and mood.” Eur J Appl Physiol. 2004 Apr;91(4):493-8. Epub 2004 Feb 11. Paluska SA: “Caffeine and exercise.” Curr Sports Med Rep. 2003 Aug;2(4):213-9. Grandjean AC, Reimers KJ, Bannick KE, Haven MC. : “The effect of caffeinated, non-caffeinated, caloric and non-caloric beverages on hydration.” J Am Coll Nutr. 2000 Oct;19(5):591-600. See? Oh, I know what you’re going to say next – “But, like, dude! When I drink my Venti Mocha Crappucino [note: Link goes to “Foamy the Squirrel”, who is a bit of a pottymouth, ranting about the “Tall/Grande/Venti” nonsense.� It amused me.] or a can of Jolt Ultra I have to take a major whiz a little while later! Isn’t that ‘cuz of the caffeine?” Well, no, it isn’t. It’s because you just drank a bunch of liquid. Duh. Posted on 2008-07-01 Categories Brew, Food Science, Freakish Eukaryotes, Me, me, me, Microbiology, Nerd Culture, Rant, ShenanigansTags caffeine, coffee, dehydration, exercise, health, heat, Jolt, medicine, tea, yeast6 Comments on SHENANIGANS! Caffeine is our FRIEND!